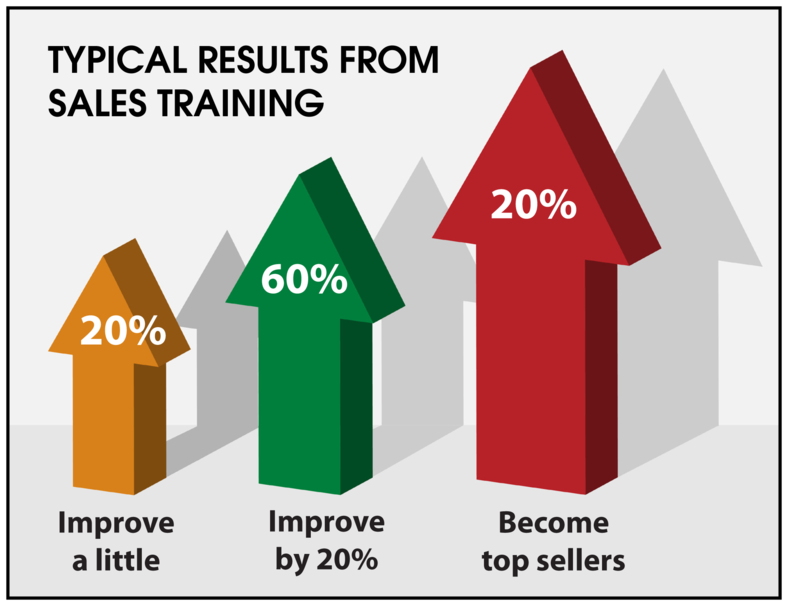 Research clearly shows that you will get on average a 20% increase in sales with quality sales training. It also shows that you can double this by coaching your salespeople afterwards. 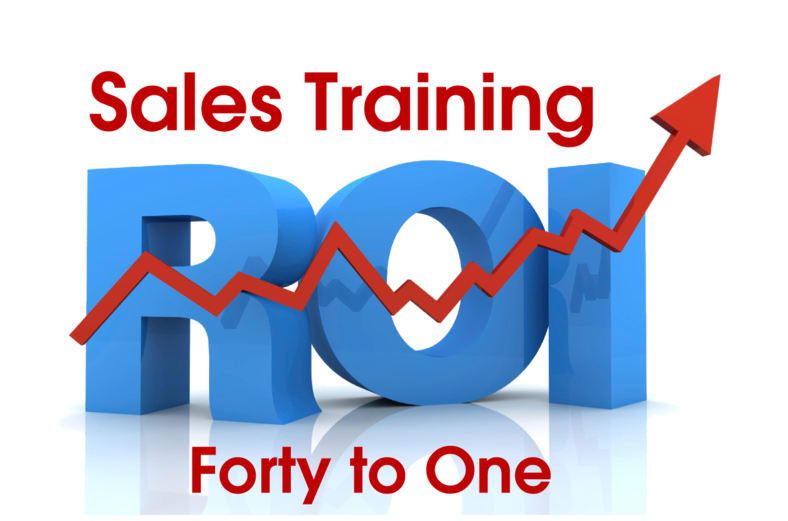 Sales training represents the least amount of money you can spend to get the most improvement in sales performance. No other investment, strategy or activity can achieve this. On average, it costs between $100,000 and $200,000 to replace a salesperson in the high tech industry when you consider the recruiting, interviewing and hiring process. Organizations spend considerable time and money on new hires but are reluctant to spend a few thousand dollars per person on professional sales training that would give them the essential selling skills they need to be successful. 1. How many of your salespeople are not making annual quota? 2. What is this costing you in lost revenues each year? - Average cost per person for sales training is $3,000 which includes: fee, transportation, accommodation and all other expenses.